McALLEN — A local man was formally charged Monday in the death of a 61-year-old woman over the weekend. 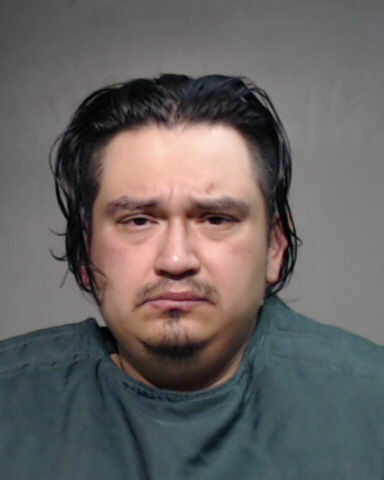 Juan Manuel Hernandez, 35, of McAllen was arraigned Monday in the McAllen Municipal Court for murder, a first-degree felony charge carrying five to 99 years if convicted. Hernandez is alleged to have killed Maria Alisa Garza, 61. According to the criminal complaint against him, Hernandez went to the McAllen Police Department on Saturday afternoon to report that he had found Garza’s body in her car in front of his apartment the previous evening. He told authorities she was his elderly mother’s health care provider. Hernandez told police the body was wrapped up like a “cocoon” in the backseat of the car, according to the criminal complaint. Police subsequently went to the 609 Broadway St. apartment, where neighbors reported hearing a scream coming from inside the apartment an hour before police arrived. Officers then found Garza’s body inside wrapped in a blanket, sheet and plastic. “They saw she had a stab wound to her right rib cage area and ligature marks on her neck,” the complaint read. Preliminary autopsy findings indicate the cause of death as asphyxiation, a McAllen police news release stated. The final autopsy results are pending. Neighbors also told police Hernandez had asked for a tarp on Friday night and witnessed “what appeared to be a large wrapped bundle the size of a body in a brown blanket leaned up against the passenger side of Mrs. Garza’s car” at about 9:30 a.m. Saturday. Garza’s roommate subsequently told investigators she had last seen the victim on Wednesday, Oct. 25. Hernandez “denied killing Mrs. Garza but did admit to being with (her) on… (Oct. 25),” the complaint states. He also admitted to using drugs the evening before he reported her death in addition to cutting his wrist with the knife he allegedly removed from her body, according to the complaint. Hernandez has a prior criminal history, according to Hidalgo County jail records. His previous charges include property theft, issuance of a bad check and aggravated robbery. His bond was set at $1 million and he remained in the Hidalgo County jail at the time of this posting.